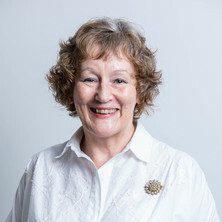 Jenny Burt completed her PhD in associative learning in animals in 1982 at the Univeristy of NSW and was a lecturer in psychology at UQ until 2017. Her research interests are in cognitive psychology, primarily visual word identification and spelling, as well as memory and attention, especially as they relate to word processing. The processes of word reading and the nature and acquisition of word memories that make reading and spelling possible. Pre-conscious processing of visual items, especially words and letter strings. The processes required to achieve awareness of separate events under time pressure. My research in word reading and spelling has implications for reaidng and spelling instruction is schools, and for assessing and remediation of dyslexia. My recent work on word similarity (as a co-author on an ARC linkage projec)t has practical applciations to the procedures of brandanme registration in Australia and elsewhere. Journal Article: The curious case of spillover: does it tell us much about saccade timing in reading? Journal Article: How important is the name in predicting false recognition for lookalike brands? The curious case of spillover: does it tell us much about saccade timing in reading? Do learned alarm sounds interfere with working memory? Inductive learning: Does interleaving exemplars affect long-term retention? Zulkiply, Norehan and Burt, Jennifer S. (2013) Inductive learning: Does interleaving exemplars affect long-term retention?. Malaysian Journal of Learning and Instruction, 10 133-155. Reading and spelling in adults: Are there lexical and sub-lexical subtypes? Genetic covariation between the author recognition test and reading and verbal abilities: What can we learn from the analysis of high performance? What is orthographic processing skill and how does it relate to word identification in reading? Does a reading lexicon provide orthographic representations for spelling? Why do non-color words interfere with color naming? Burt, JS (1994) Identity Primes Produce Facilitation in a Color Naming Task. Quarterly Journal of Experimental Psychology Section A-Human Experimental Psychology, 47 4: 957-1000. Burt, J. S. and Chalmers, K. A. (2004). Adults' acquisition of new lexical representations. In: M. Innes, J. Halberstadt and R. O'Shea, Australian Journal of Psychology: Combined Abstracts of 2004 Australian Psychology Conferences. 31st Conference of the Australian Experimental Psychology Society, Department of Psychology, University of Otago, Dunedin, NZ, (108-108). 16-18 April 2004. Is the effect of reading misspellings context dependent? Burt, J. S. and Salzgeber, A. (2003). Is the effect of reading misspellings context dependent?. In: W. Noble, Australian Journal of Psychology. 30th Conference of the Australian Experimental Psychologists, Sydney, Australia, (74-74). 2002. Edwards, M. S., Burt, J. S. and Lipp, O. V. (2003). Selective attention for threatening information in anxious mood states. In: W. Noble, Australian Journal of Psychology. 30th Conference of the Australian Experimental Psychologists, Sydney, Australia, (S78-S78). 2002. Burt, J. S. (2002). Reading and spelling words: Item-specific and task contributions. In: W Noble, Australian Journal of Psychology Combined Abstracts of 2002 Australian Psychology Conferences. 29th Annual Australasian Experimental Psychology Conference, Adelaide, (49-49). 5 - 7 April 2002. Burt, Jennifer S. (2001). Literacy skills and cerebellar function in adults. In: Australian Journal of Psychology Combined Abstracts of 2001 Australian Psychology Conferences. 28th Annual Australasian Experimental Psychology Conference, La Trobe University, Melbourne City Campus, Victoria, (45-45). 20-22 April 2001. Ambiguity in old/new discrimination: The basis of negative priming effects? Burt, J. S. and Healy, D. (2000). Ambiguity in old/new discrimination: The basis of negative priming effects?. In: D. Maher and G. Teehan, Australian Journal of Psychology. 27th Annual Experimental Psychology Conference, Novotel Twin Waters Resort, Queensland, (27). 27-30 April 2000. Lexical decisions about correctly and incorrectly spelled words: A parallel with word frequency effects? Note for students: Associate Professor Jenny Burt is not currently available to take on new students. After effects of auditory spectral motion: Differing spectral changes produce separable aftereffects. An investigation of the concurrent and predictive contribution of ADHD-like behaviours and phonological processing to early word reading development. STARTLE MODIFICATION DURING HUMAN FEAR CONDITIONING: ATTENTION OR EMOTION?